John Lentz’s New Book “Our Journey” is a True-to-life Account of a Couple’s Strength and Resilience Amid the Onset of Alzheimer’s. 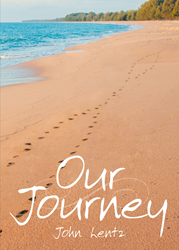 Recent release "Our Journey" from Page Publishing author John Lentz is a compelling love story with all the pain and warmth of what it means to be a caregiver, while comforting his wife as she goes through the slow decent into the darkness of Alzheimer's. Must read to understand the true difficulties and moments of gratification they go through. John Lentz, a loving and caring husband and a first time author, has completed his new book "Our Journey": a heart-touching narrative that chronicles the labor of love as he struggles to keep life in a positive direction while fighting financial, emotional difficulties and fading relationships while trying to maintain a stable home life for his wife. Published by New York City-based Page Publishing, John Lentz's memorable tale is a testament of his undying love and affection toward his ailing wife and shows what being a caregiver is all about. Readers who wish to experience this emotionally resonant work can purchase “Our Journey” at bookstores everywhere, or online at the Apple iTunes store, Amazon, Google Play, or Barnes and Noble. About Page Publishing: Page Publishing is a traditional New York based full-service publishing house that handles all of the intricacies involved in publishing its authors’ books, including distribution in the world’s largest retail outlets and royalty generation. Page Publishing knows that authors need to be free to create - not bogged down with complicated business issues like eBook conversion, establishing wholesale accounts, insurance, shipping, taxes and the like. Its roster of authors can leave behind these tedious, complex and time- consuming issues, and focus on their passion: writing and creating. Learn more at http://www.pagepublishing.com.